From September 21st 2015, the application for the first edition of Elena Mantoni’s IMAGONIRMIA Award is open,created and funded by Mantoni family in memory of her daughter Elena. with the title Variable displacement, IMAGONIRMIA Award keeps in consideration the Elena’s idea, of “garden” as common good, and from here it intends to intercept the interest of artists whose work relates to the minor places, understood as the ground of civil affection in dialogue both with rootedness as with displacement. 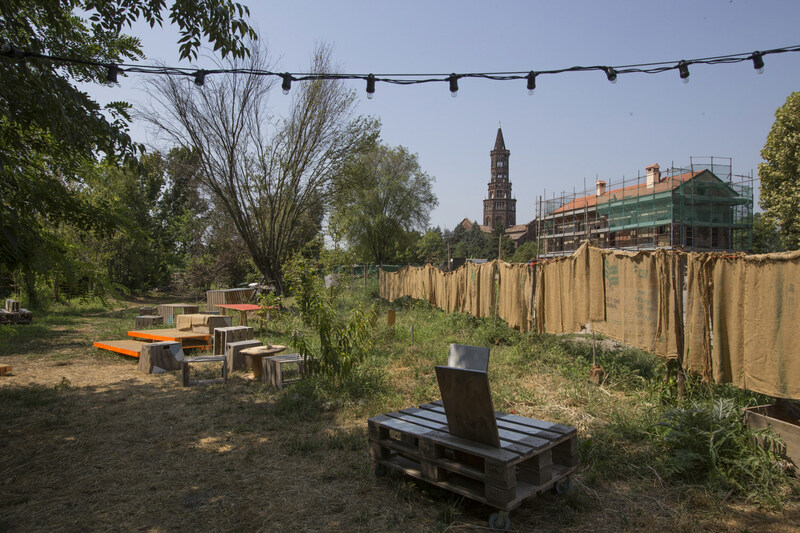 Variable displacementcalls proposals able to examine routes and border areas between urban and rural world, where it’s possible to engage the poetics, the policies and the practices of the garden in its real and symbolic, generative and regenerative results. The selected proposal wins: a residency of 4 consecutive weeks, at FARE, Frigoriferi Milanesi – Milano (http://goo.gl/2jCvDC); one contribution for living and travel expenses of 600 (six hundred) euro; one contribution for the travel until a max of 200 (two hundred) euro; an economic contribution for the production of 2.500 (two thousand five hundred) euro; curatorial support; educational courses to agreed at the International Center of Studies on Landscape and Garden Bergamo; connection to the project with monastery threshold | yards to the planetary garden that will be realised in Chiaravalle between May and June 2016, to have recognition, effectiveness and visibility of the final result; printed publication with texts and images. IMAGONIRMIA Award opens a public call to artists currently residents in Italy, whatever their nationality, without restriction of artistic disciplines and no age limit. The application will end on December 31st, 2015. The Award will be presented to the public on September 27th 2015 at 5 pm at Anguriera in Chiaravalle, Via San Bernardo 16, Chiaravalle Milanese (https://www.facebook.com/angurieradichiaravalle) with a meeting attended by the founders and the artistic direction of IMAGONIRMIA Association and the founders of terzo paesaggio, monastery threshold | yards to the planetary garden project managers, on which this first edition is connected. The project is created by IMAGONIRMIA Elena Mantoni’s Cultural Association (www.imagonirmia.org), in collaboration with Fare (www.farearte.org), AIR – artinresidence (www.artinresidence.it), Frigoriferi Milanesi (www.frigoriferimilanesi.it), Open Care (www.opencare.it) e associazione terzo paesaggio. AIR – artinresidence www.artinresidence.it info@artinresidence.it.